The EASE™ (Equine Assisted Social Skills Enrichment) program offers an experiential approach to learning incorporating typical social skills objectives through novel horse-based activities. Our classroom trailer offers a unique learning environment for participants to practice new skills as they learn about themselves and to how to care for a horse. The process of developing these skills can help kids who show signs of depression, anxiety, have low self-esteem, or lack confidence. Interactive dialogue and social exchange with our therapy horse Sadie is facilitated to encourage questioning, attending, and responding - all necessary components of positive conversation skills. Participants are encouraged to follow Sadie on her Facebook page. 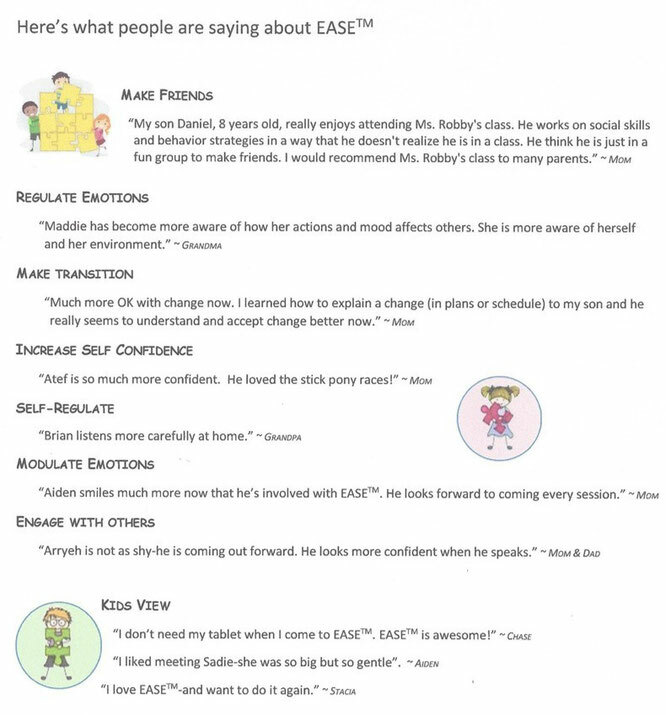 Our EASE™ program classes are 1 hour long. The number of EASE™ sessions is up to you! Group size is a minimum of 4 participants.